Want it by Wednesday 24th April? Order within 3 days, 2 hours, 38 minutes and choose Royal Mail Tracked 24 Hour at checkout. Combine comfort and style effortlessly with the Womens Ultra Flex Trainer. This sporty casual sneaker design has been crafted from heathered jersey knit fabric with a lace up front. Highly flexible sole provides both freedom of movement and excellent energy return. An air cooled memory foam insole ensures that your feet are kept cool and comfortable. 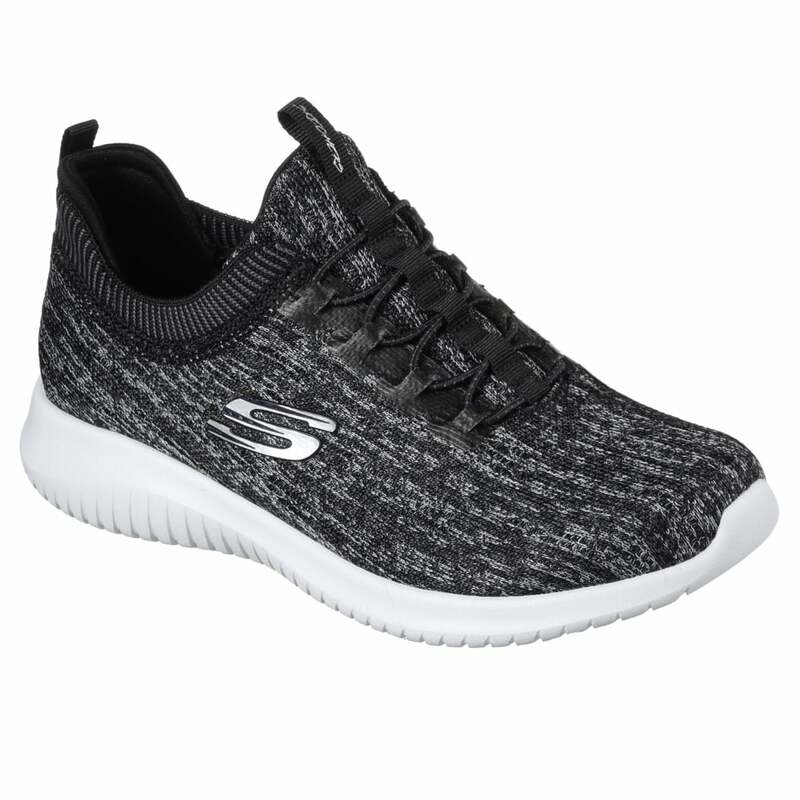 Lightweight and ultra flexible these trainers are perfect for walking, sporting activities or just everyday wear.